The transition to adopting cloud services is unique for every organization. What does yours look like? After watching the experts discuss the details, you’ll see that the cloud doesn’t have to be an all or nothing discussion. This webinar will prepare you for your journey by revealing the available options and how to make the most out of them! It is a great opportunity to ask industry experts as they share their experiences working with many customers worldwide. Azure Site Recovery Deployment Planner is now GA with support for both Hyper-V and VMware. Disaster Recovery cost to Azure is now added in the report. It gives compute, storage, network and Azure Site Recovery license cost per VM. ASR Deployment Planner does a deep, ASR-specific assessment of your on-premises environment. It provides recommendations that are required by Azure Site Recovery for successful DR operations such as replication, failover, and DR-Drill of your VMware or Hyper-V virtual machines. Estimated Network bandwidth required for initial replication(IR) and delta replication. Storage type(standard or premium storage) requirement for each VM. Total number of standard and premium storage accounts to be provisioned. For VMware, it provides the required number of Configuration Server and Process Server to be deployed on on-prem. For Hyper-V, it provides additional storage requirements on on-premises. For Hyper-V, the number of VMs that can be protected in parallel (in a batch) and protection order of each batch for successful initial replication. For VMware, the number of VMs that can be protected in parallel to complete initial replication in a given time. Throughput that ASR can get from on-premises to Azure. VM eligibility assessment based on number of disks, size of the disk and IOPS, OS type. Estimate DR cost for the target Azure region in the specific currency. When to use ASR Deployment Planner and Azure Migrate? Download the tool and learn more about VMware to Azure Deployment Planner and Hyper-V to Azure Deployment planner. Countdown for XP End Of Support started. Where do I start? Microsoft will end Extended Support on April 8, 2014: no new updates will be released after this date. 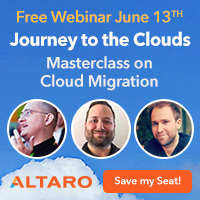 If your organization has not started the migration to a modern desktop, you are late. Based on historical customer deployment data, the average enterprise deployment can take 18 to 32 months from business case through full deployment. To ensure you remain on supported versions of Windows and Office, you should begin your planning and application testing immediately to ensure you deploy before end of support. Security & Compliance Risks: Unsupported and unpatched environments are vulnerable to security risks. This may result in an officially recognized control failure by an internal or external audit body, leading to suspension of certifications, and/or public notification of the organization’s inability to maintain its systems and customer information. Lack of Independent Software Vendor (ISV) & Hardware Manufacturers support: Back in 2011, many independent software vendors (ISVs) were already unlikely to support new versions of applications on Windows XP. There is no upgrade path. You will need to do a clean install. This means you will need to migrate the users’ data and reinstall or repackage all their applications for the new OS. This will take some time to test all of the hardware, peripherals and applications to ensure they will work with Windows 7 or Windows 8. Visit The Springboard Series on TechNet to learn how to Explore, Plan, Deliver, Operate and Support Windows 7 and 8 in your environment. Download the Windows 8 Enterprise Evaluation to start to test your applications. Check out the features in Windows 8, get answers to frequently asked questions, see videos on key features or watch some video training to prepare yourself here. Learn how to create an application inventory, assess compatibility, explore deployment options, and learn how to prepare for deployment here. Considering virtualization options? Learn about Client Hyper-V, App-V and more here. Ready to Implement security and control measures? Click here.